YSL’s Christmas collection is called Wildly Gold, but it’s this bronzed beauty that’s really doing it for me. I previewed it in my top picks of the festive makeup collections, so I almost kissed my postie when he handed me this lovely lacquer – and it was out of the packaging and onto my nails in approximately 18 seconds. 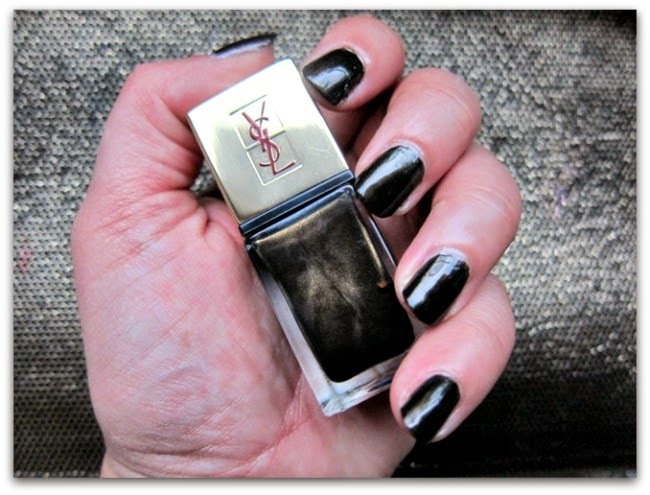 YSL make really great nail polish. 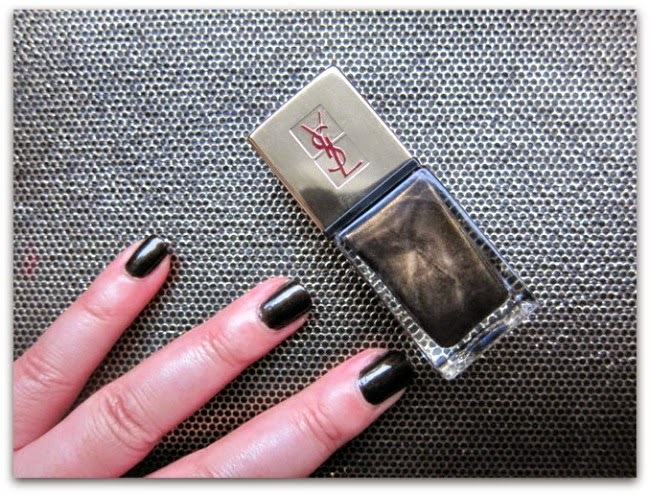 I mean, YSL make really great makeup full stop, but the nail polish is a knockout. Highly pigmented, hardwearing and with an excellent brush that does half the work for you, they also come in a gorgeous shade range (I was obsessed with this colour for spring) and are genuinely quick drying, too. Bronze Aztec, happily, is no exception. 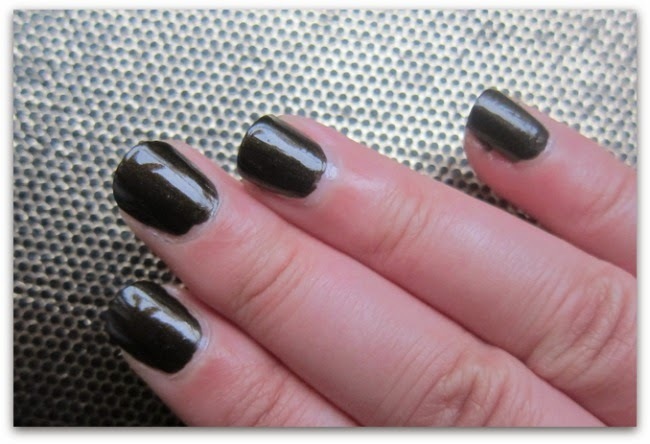 Pretty much opaque in one coat, it glides on smoothly and is a richly intriguing colour: on the nail, it’s more of a metallic, blackened olive flecked through with golden-bronze shimmer. Shade wise, it reminds me of an Estee Lauder eyeshadow I fell in love with a few years back (and will be driving myself demented trying to locate, just as soon as I’ve finished this post). It’s hard to do justice to this type of deep, complex colour on camera: in some lights, it leans dark brown, almost black, and in others, the shimmer really sparkles. But trust me: it’s a stunner and is well worth €24 of your eurobux, for a little bit of luxury, and a whole lot of loved-up gazing at your nails.